President Donald Trump signed an executive order last week that established the American Technology Council, which will include representation from the U.S. Digital Service. 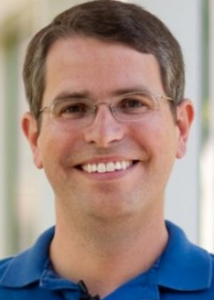 Matt Cutts, acting administrator of USDS, said that the council will be more involved in the agency’s projects across government agencies. The ATC will coordinate how the Federal government should modernize its IT systems and how it delivers digital services. Chris Liddell, the White House director of strategic initiatives, will be the council’s director. The members of the council include Trump, Vice President Mike Pence, the secretary of Defense, the secretary of Commerce, the secretary of Homeland Security, the director of national intelligence, the director of the Office of Management and Budget, and the U.S. chief technology officer. The council will last for four years. The White House is also inviting industry leaders from Silicon Valley to a summit in June to obtain ideas from the private sector. About 20 technology company CEOs will spend half a day in working sessions, according to reports. USDS is made up of technology professionals from the private sector who choose to serve tours of duty, helping the Federal government improve its IT posture. Cutts said that the creation of this council fits with the USDS’s mission.